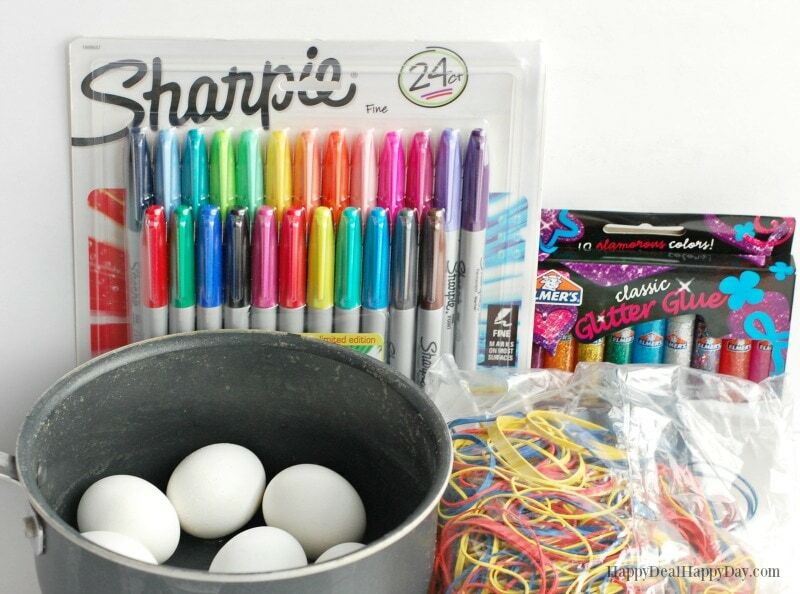 Easter Egg Decorating Idea Using Sharpies & Rubberbands | Happy Deal - Happy Day! First of all, you need to grab a dozen of eggs and hard boil them (10 minutes in boiling water.) Rinse them in cool water and dry them completely. 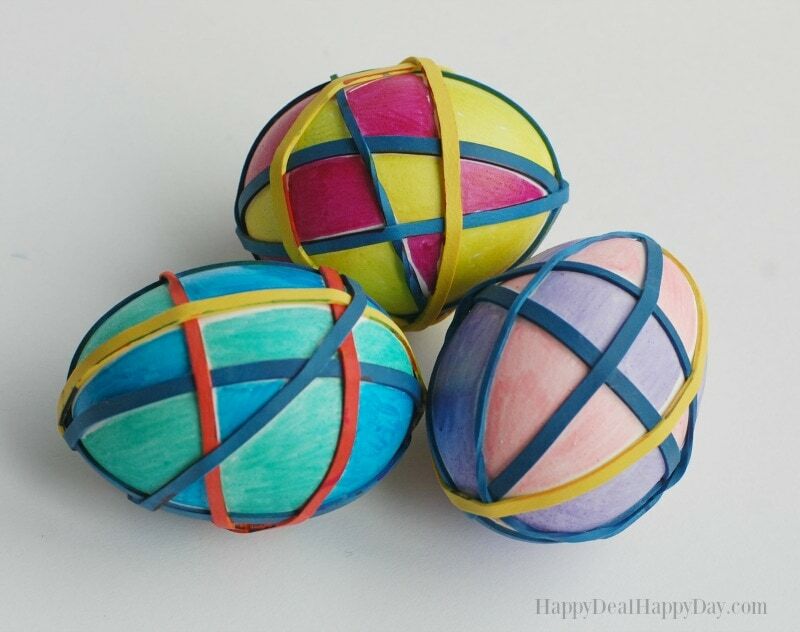 Then grab some rubberbands and wrap them around the eggs in such a way that will create a template of where you will add splashes of color in a geometric shape pattern. 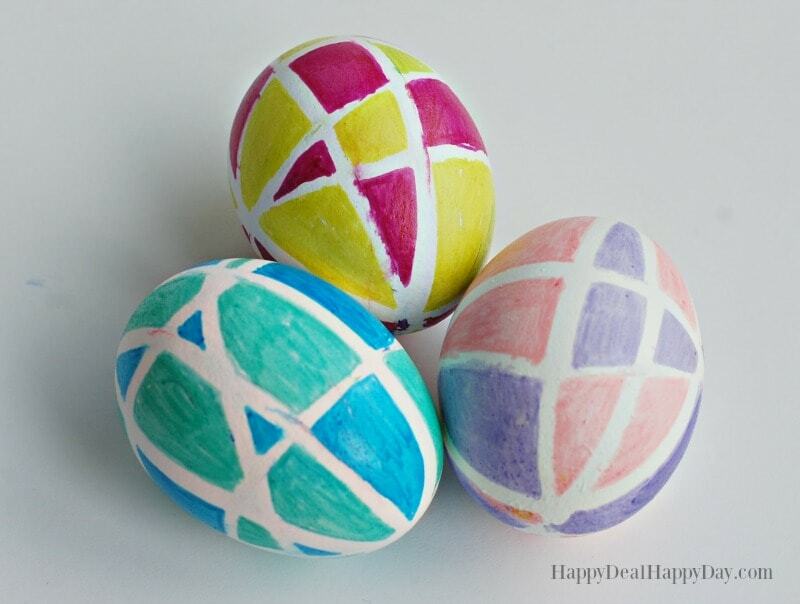 I chose to pick just 2 colors for each egg – and tried to color every other shape with one of the two colors. You may have the same color next to each other, and that’s ok. The shapes may not be evenly spread around the egg. Again, that’s ok – it gives each egg its own unique design. Grab a sharpie, and first make an outline of the shape with the rubberband as your boundary. Then fill in that shape with that color. Do this again about every other shape with the same color. After you use one color, grab a second complimenting color and color in the 2nd half of the shapes. The colors may bleed out a bit outside of where the rubberband was – and that is ok! 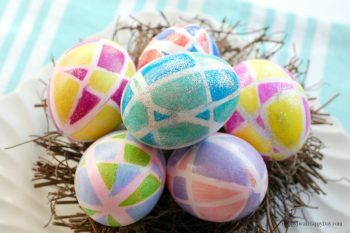 These aren’t meant to be absolutely straight perfect lines – but more fun spontaneous splashes of color on your eggs to create their own unique pattern. 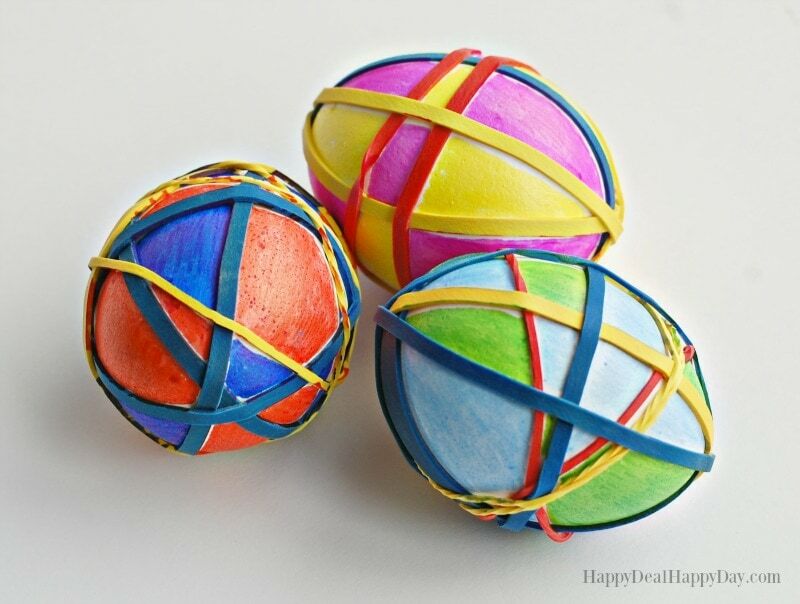 Here is a second group of eggs I colored with the rubberbands still on. And here is after the sharpie ink is dry and I pulled the rubber bands off. 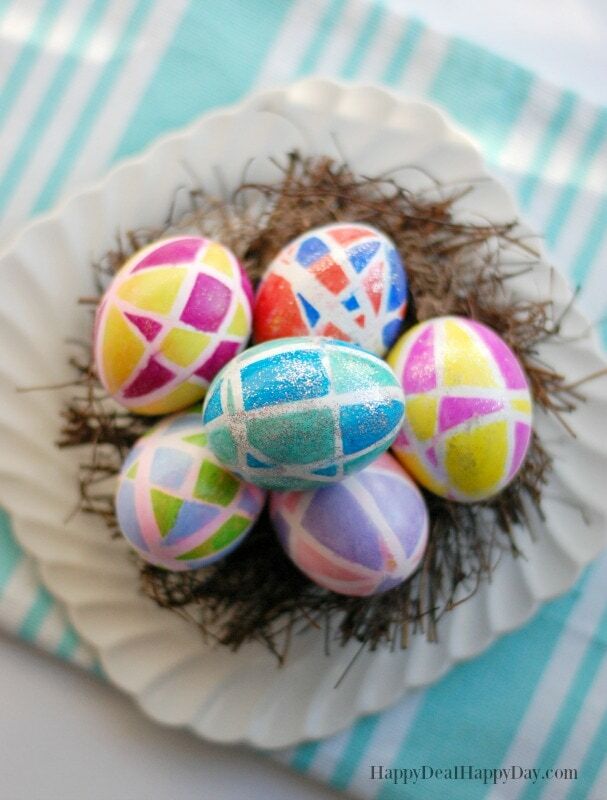 If you want to add some bling to your eggs, then get some glitter glue and squirt some on top of the egg. 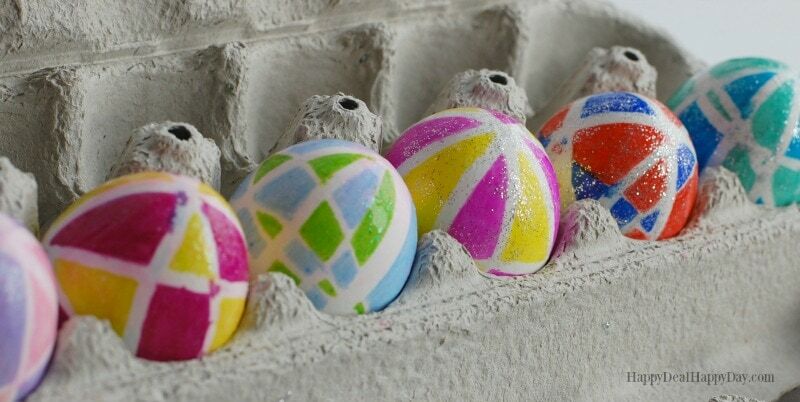 Then use a paint brush and spread it around top half of the egg – leave it in the egg carton while the top half dries. When the top half dries (give it a few hours), flip the egg over and then add glitter glue to the second half. This way you should always have a dry spot where the egg can touch the carton and not get it stuck in the carton while the glue dries. I used two different colors of glitter glue – pink glitter and silver glitter. I personally like the silver glitter glue better because it was more visible and sparkly. 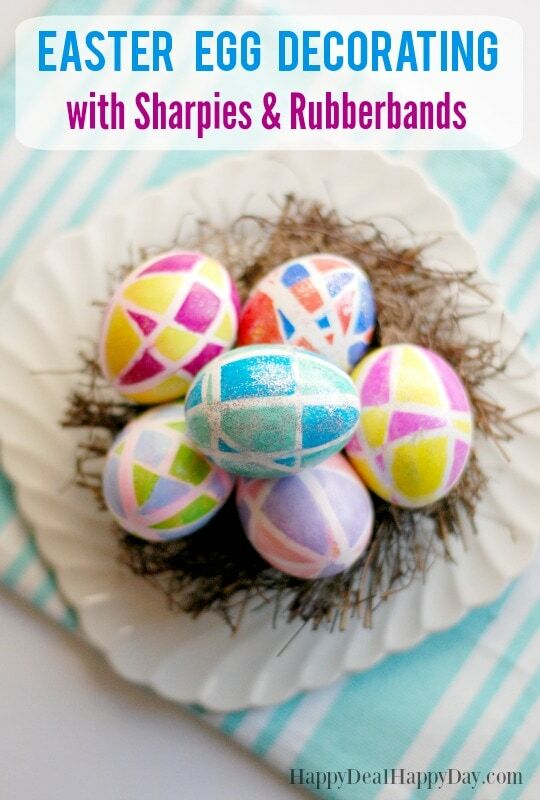 When all of these eggs are put together, the bright colors covered in glitter look like an amazing springtime celebration decor piece! 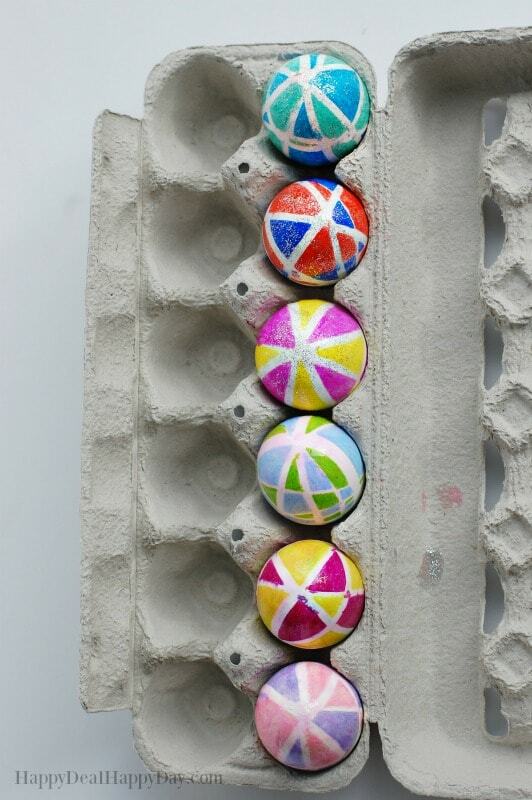 These are unique decorated eggs that aren’t the typical vinegar dyed dipped eggs that give you just one solid color. 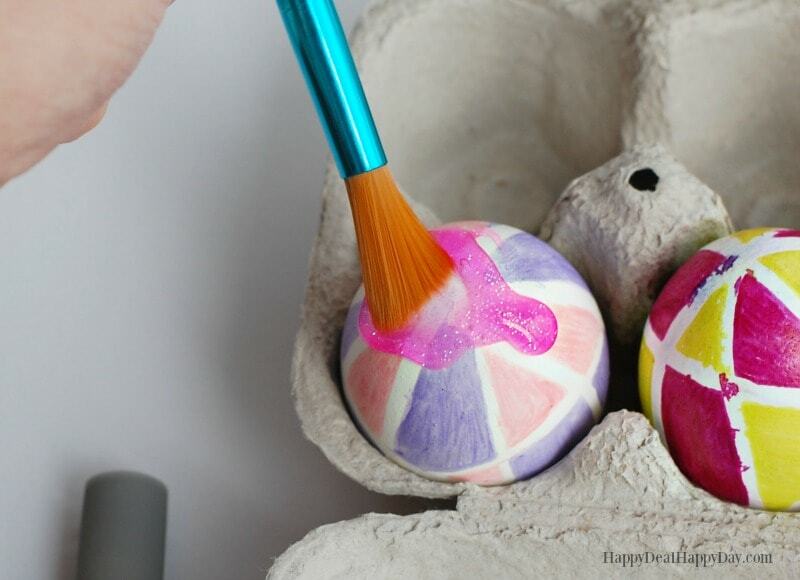 These are a lot more fun – and actually less messy than the traditional dipped eggs! 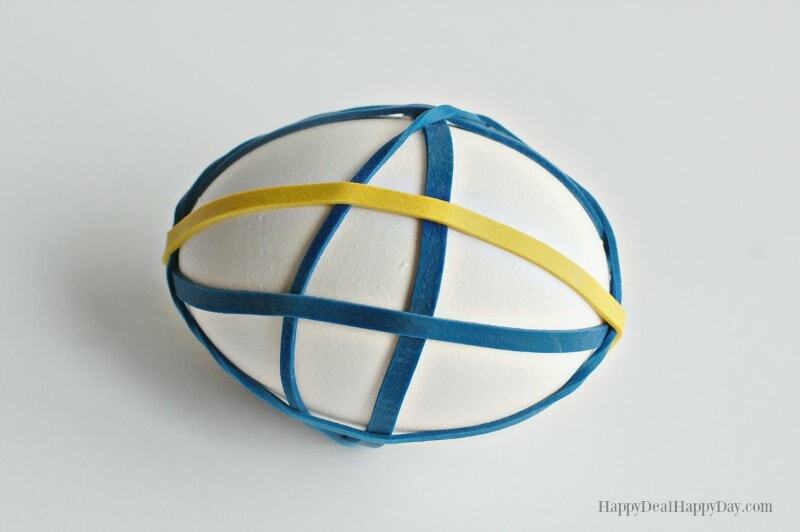 I love the random shapes that the rubberbands create, along with the contrasting color – and makes just a fun and unique Easter egg decorating idea that we will enjoy using year after year! 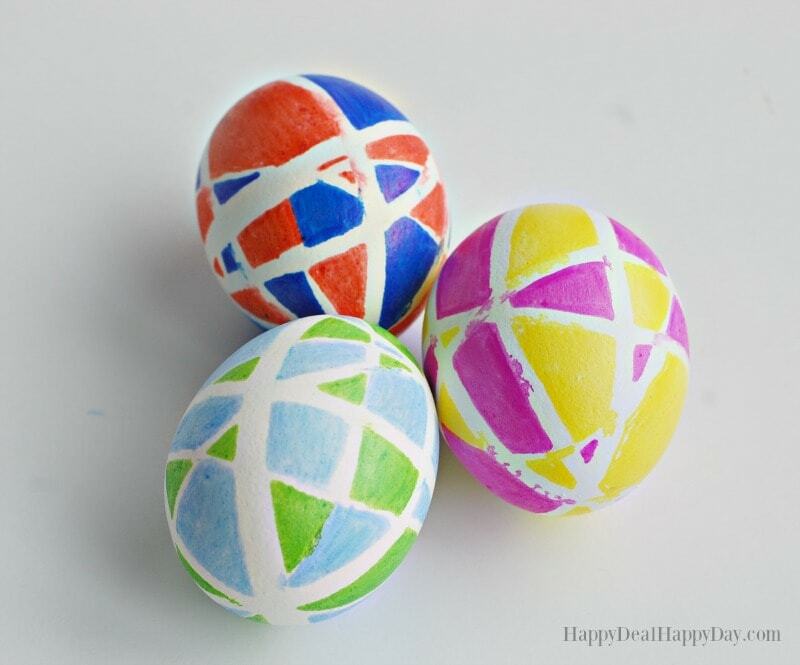 I would love to find some artificial white eggs that would work well with sharpie ink so that I could make these once, and use the same ones year after year. 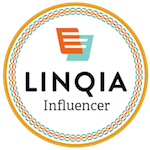 ← Vipon – A Great Site To Easily Get Amazon Promo Codes!